It is no exaggeration to say self loading concrete mixer truck is a “everywhere mobile batching plant”. Nowadays, self loading concrete mixer for sale has more and more wide use. 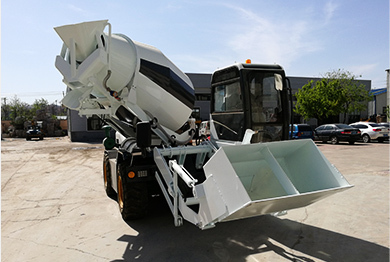 Compared to traditional concrete mixer truck, it is flexible and convenient. Besides, self loading concrete mixer can self load, mix and discharge, which greatly improve the productivity, reduce the production time and cost. Concrete mixer trailer for sale can feed, transport, and discharge different types and grades of concrete to different construction projects. Trailer mounted concrete mixers are definitely to understand trucks are with huge round drum at the back. 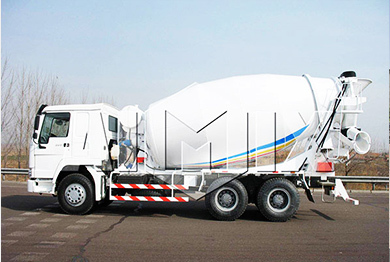 Trailer concrete mixer truck is usually to transport concrete for construction engineering. Cement mixer trailer has a diesel engine that could get higher working rate. Concrete agitator truck for sale is a very convenient vehicle to convey concrete on the location of ending site while has the function of stirring concrete during transportation. As for the huge demand of concrete, agitator truck for sale also get well received, the quantities demand of concrete agitator truck have become larger. It is a hot sale product for concrete industry. 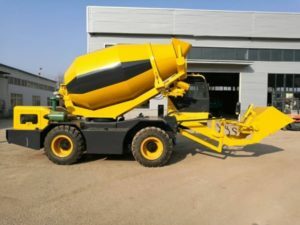 As one of the most largest and professional concrete mixer truck manufacturers in China, we Aimix has various types of concrete mixer trucks for sale. 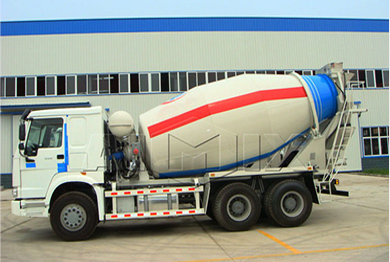 In addition, we can customize a variety of models of concrete mixing trucks according to customers’ need. Over the past 30 years, Aimix’s concrete mixer truck and other concrete machines have been exported to more than 80 countries and areas, such as: Algeria, Ethiopia, Kenya, Argentina, Pakistan, Philippines, Indonesia, India, Zambia, Uganda, Australia, Bolivia, Brazil, Cambodia, Congo, Egypt, Fiji, France, Kazakhstan, Libya, Malaysia, New Zealand, Oman, Russia, Ukraine, United Arab Emirates, USA, Uzbekistan, etc. Besides, we also have a series concrete machines for sale, such as: concrete mixer, concrete batching plant, self loading concrete mixer, concrete pump, tower crane and so on.The products exported successfully have been received well reviews, and many old customers repurchase the products from us.